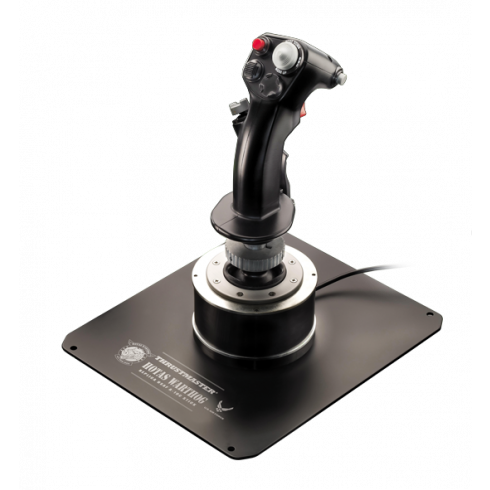 This is the stand-alone HOTAS Warthog* joystick, from the creator of the original HOTAS (Hands On Throttle And Stick) concept and the worldwide benchmark flight sim controllers: the HOTAS Cougar and the HOTAS Warthog. With this joystick replica of the U.S. Air Force A-10C attack aircraft flight stick, you will know what it's be like to be an air force pilot. So take off and conquer the skies with the Thrustmaster HOTAS Warthog Flight Stick!